St. Michaels Preserve – Anniversary of Sourland Niche! St. Michaels Preserve is located in Hopewell, NJ with entrances on Hopewell Princeton Rd and Aunt Molly Rd. My first blog hike was posted one year ago on March 17, 2018. This year has flown by so quickly! When I noticed the Red Maples’, Acer rubrum, buds swelling and turning red, I remembered seeing them a year ago when I began writing about my hikes in Sourlands. Throughout this past year, I have enjoyed 40 hikes at 22 of the 24 Sourland Preserves. When I reflect on my experiences in the woods, I realize that as I surrendered to the beauty of the forest, it provided me an opportunity to think deeply about whatever was on my mind. I encountered many new plants and I learned more about myself. 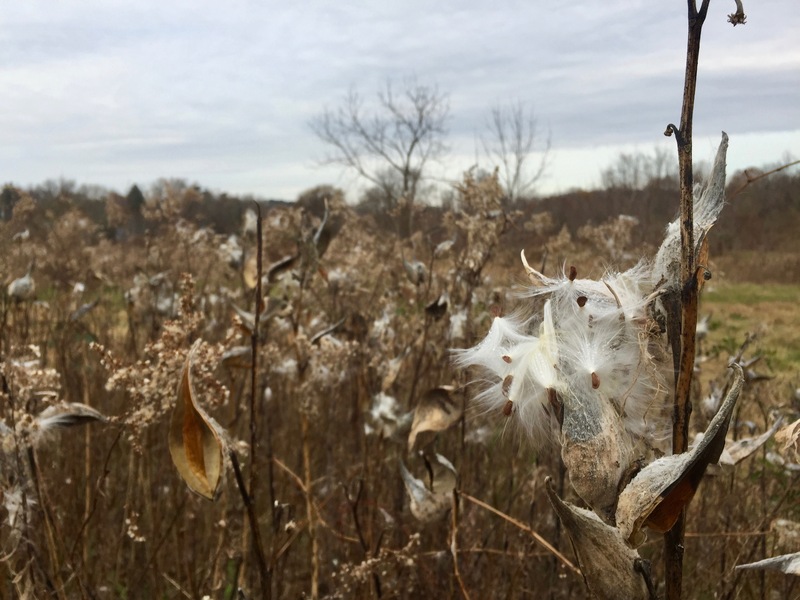 This year, I would love to share in this blog other people’s experiences and photos from their hikes around the Sourlands and also to highlight some of the incredible projects that the Sourland Conservancy is working on. There are many interesting projects going on here including: Amphibian Crossing Guards, Roots to Rivers Riparian Restoration, Baldpate Restoration, Sourland Stewardship Leaders, the Sourland STREAM Program, and The Foraging Forest! Hairy Bittercress, Cardamine hirsuta, is the first flower I have seen this year! Hairy Bittercress is an invasive belonging to the Brassicaceae (Mustard) family. There are many edibles that are Brassicas including kale, cabbage, brussels sprouts, cauliflower and collard greens! Spring beauty, Claytonia virginiaca, about to bloom. On my way out of the woods, I found a little one snuggled near a few downed logs which protected it from wind but still allowed full sun. This created a microclimate which encouraged this little spring beauty to start putting on its flower buds. Over the next few weeks, the forest will be waking up! I have already heard Spring Peepers, Pseudacris crucifer, sing their Sweet Spring Song! This entry was posted in Uncategorized on March 18, 2019 by Carolyn. It a very “wet” walk.